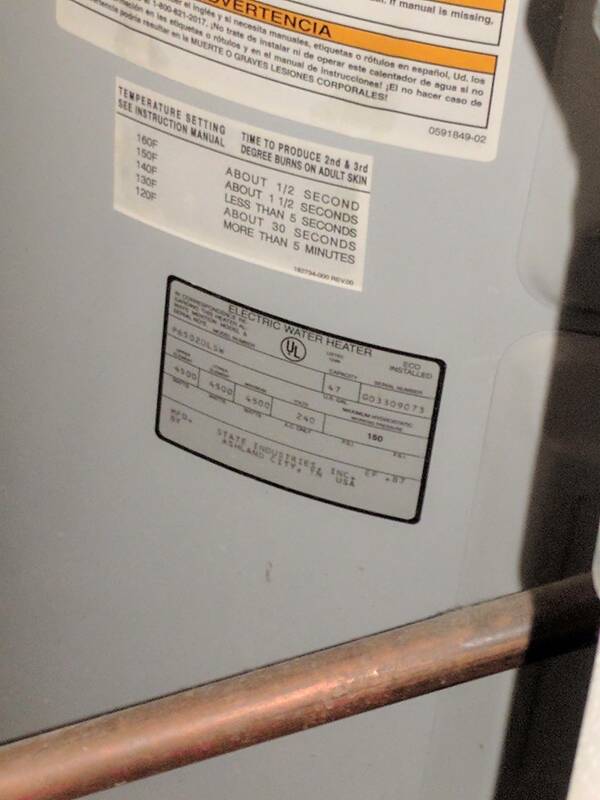 I recently moved into a condo unit in Washington, DC (2nd floor of 2 story building) and I'm looking to replace the 47-gal lowboy electric water heater that's from 2003. The problem is that there is no pan (we do have people that live below us) and, while there is a drain pipe, it's higher than the pan (see pictures below). 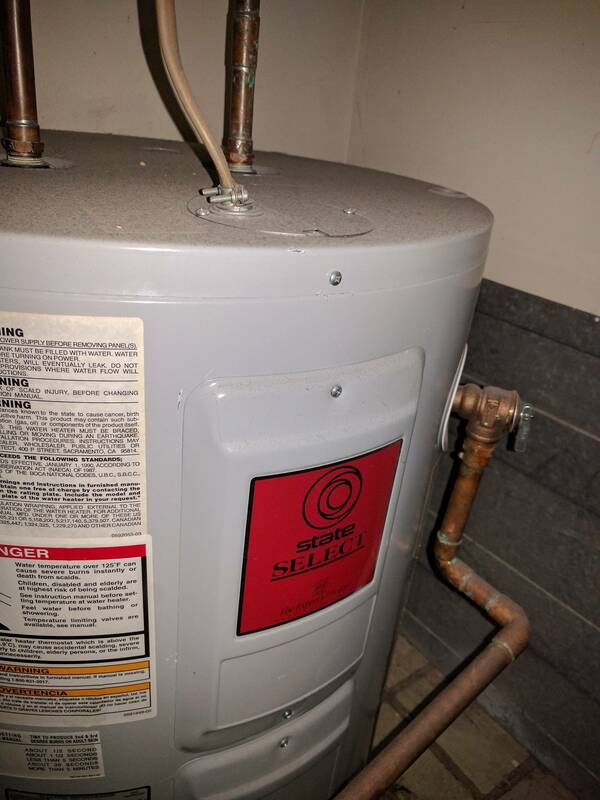 I believe that the copper pipe connects the heater relief valve to the drain. Also, there's no expansion tank. 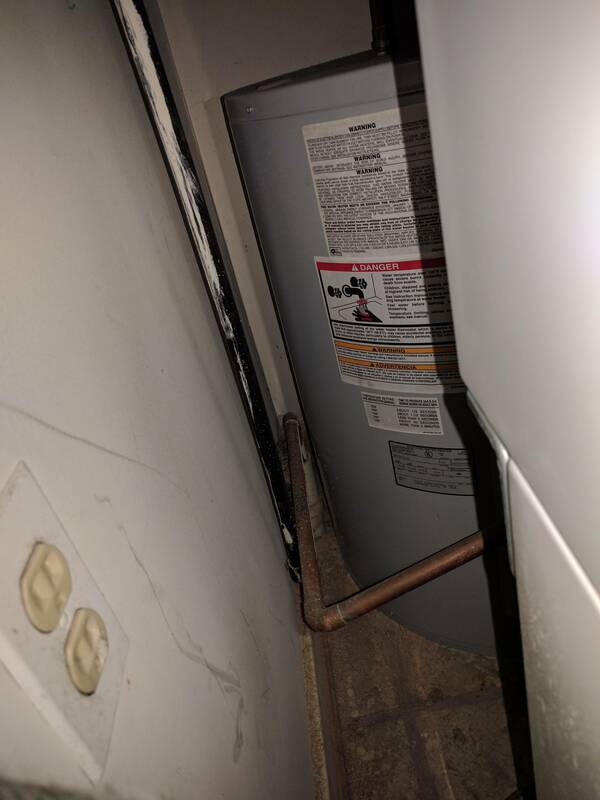 The heater is in a hard to reach location in the kitchen closet, behind the washer/dryer unit. To access it, I'd have to remove the fridge from the kitchen, take off the closet door, and pull out the washer/dryer. The tank is 31.5-32" tall and there's 19" of space above it. I'd likely have to get the exact same size replacement because the water lines coming in from the top aren't flexible. I'd ideally like a larger capacity tank because we don't get a lot of hot water with this one. I've had 3 plumbers come in and all want to charge me between $1800-$2500 with a "play it by ear" mentality regarding the pan. Needless to say, that doesn't give me a warm and fuzzy feeling. I'd like to know exactly what is going to be done to address the pan issue because come time to sell down the road, it's important to me that the new heater will pass inspection. Given the estimates, I'm tempted to try and do the job myself. 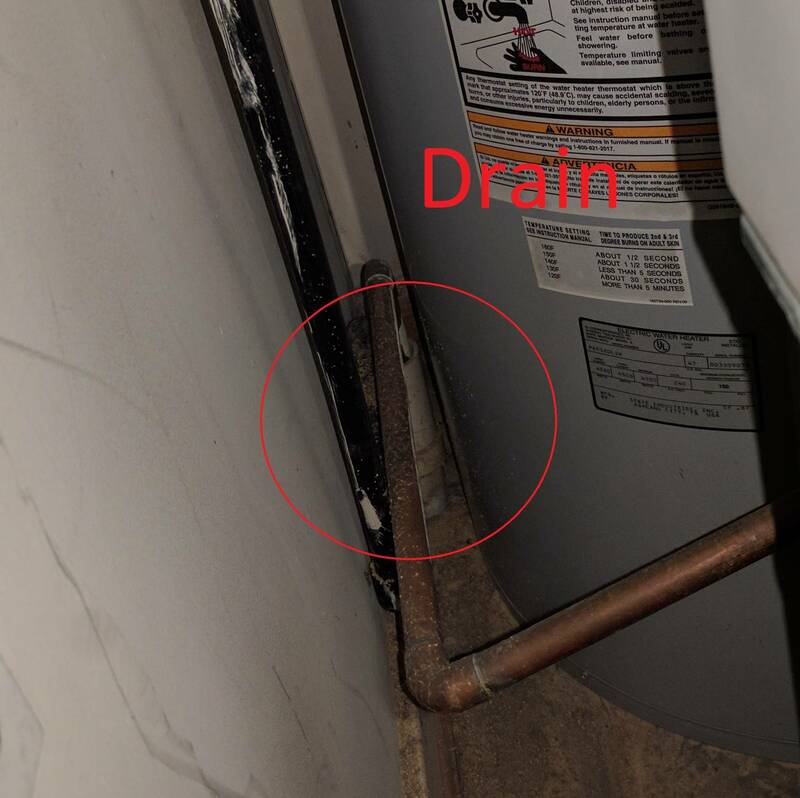 But I need some guidance on how to address the drain being higher than the pan. 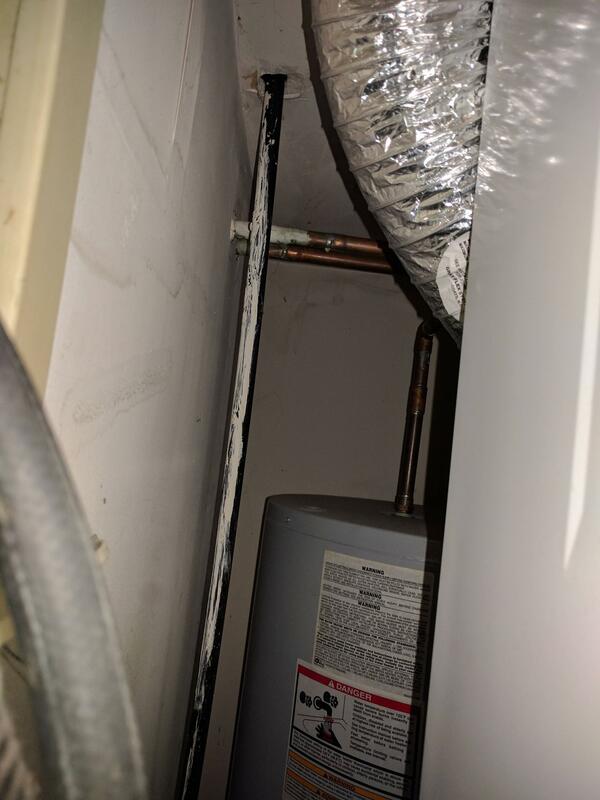 One of the plumbers suggested trying to build up the floor underneath the water heater, but I don't know how feasible that is. Also, is an expansion tank necessary? I'd really appreciate any advice on this matter. 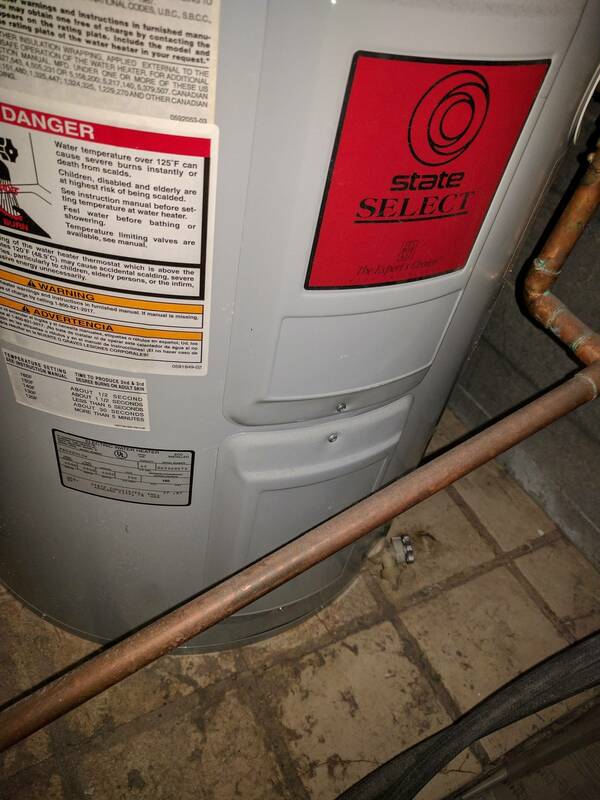 My advice is to leave the old water heater where it is and install a tankless hot water heater. I installed one at a shop for a friend in Georgia a few years ago. They had a shower in the shop and I showered there several times and never had any trouble with hot water. 4 gallons per minute was more than sufficient for a decent water flow shower and never ran out of hot water. I think the link below is to the same unit I installed. It was quite small so it will take up very little space. Performance of the Rheem RTEX-13 240V tankless heater from a seller Q&A is below. Do you see the problem? It only supplies 4 gal/min for a 20 deg F temperature rise. What is the temperature of the inlet cold water in the winter? You would probably want 105 F water for a shower. If your inlet water is 70 F then you'd want a 35 F temperature rise which means you would get a flow rate of 2.6 gal/min. This is great for one shower. If you installed a low flow shower head with a max of 1.3 gal/min, you could take a shower and simultaneously operate one other moderate use (which only needs 105 F water). Georgetown SupplyMinimum activation flow rate is 0.4 gpm and the maximum flow rate is 4 gpm (RTEX-13 13kW/240V). Water pump and pipe size for maximum water intake? What Automatic Transfer Switch can switch between parallel sources without a priority setting so as to run a well pump from either of two homes?